10am onwards until all plants are gone! Ever since my first purchase of the Montresa plants from Pasu, The Curve, I've been wanting to add more plants at home (feels all warm and tingly). The Body Shop came at the right time because I've missed this Earth Day Plant Giveaway for the past two years! (because I woke up late on Saturdays and by the time I reach, it's all gone). This year, I hope I can be there on time to snag those cute green babies back home! According to The Body Shop, there's a total of 2,200 free plants to be given away at two locations - The Curve and Setia City mall. They start at 10am until all plants are given away. SO if I calculated correctly, there may be 1,000 plants each location for 1,000 people. I hope I make it this time! Are you going? 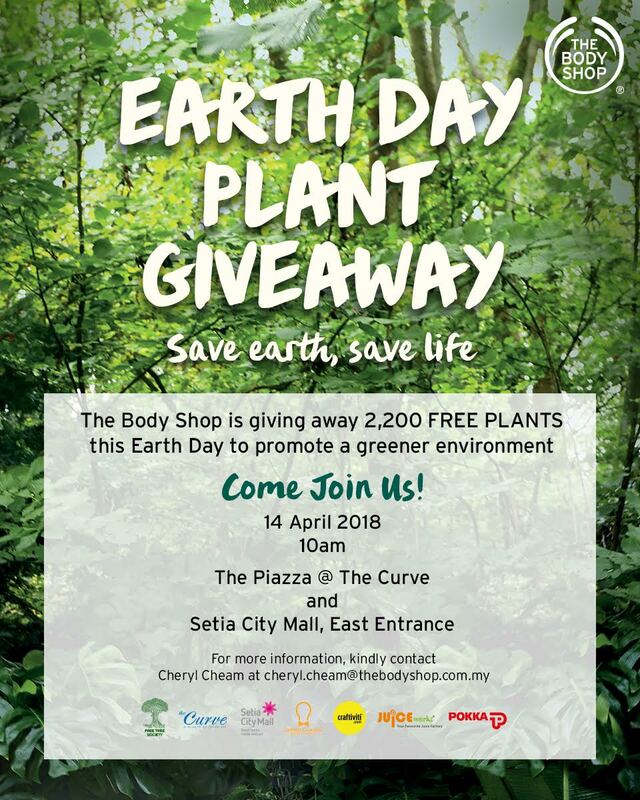 Thanks The Body Shop for organising these lovely eco activities all the time!